Im not an overly active person on Pinside, but I do read some threads from time to time; so I don’t know the full in’s and out’s of it all. One thing I’ve noticed is people get really offended or weirded out if they get a downvote on their post. What’s up with that? Is there some sort of penalty or something for receiving downvotes? E.g. if you hit a certain amount you get kicked off? If there’s no penalty for downvotes, why do people get so upset with it? I just assumed if you liked a post, you gave it a like (in this case an upvote) or if you didn’t, give it a thumbs down. No big deal. Anyone have some clarification on this? They tend to take things personally. Ha ha ha I guess so! Just seems crazy to me and I wondered if there was a genuine reason why. Upvotes and downvoted don’t matter to me, but if someone makes an odd comment I will check their ratio to see if I should believe them. Example, if someone has a 4% upvote rating I’m not going to care about anything they say. Downvoting takes the same amount of time as upvoting. Obv u r a liar, therefore downvoted! Mostly it's agree or disagree but obviously some people care way more than others. You can hide them in your settings if you don't care about them. It causes more drama than any good. 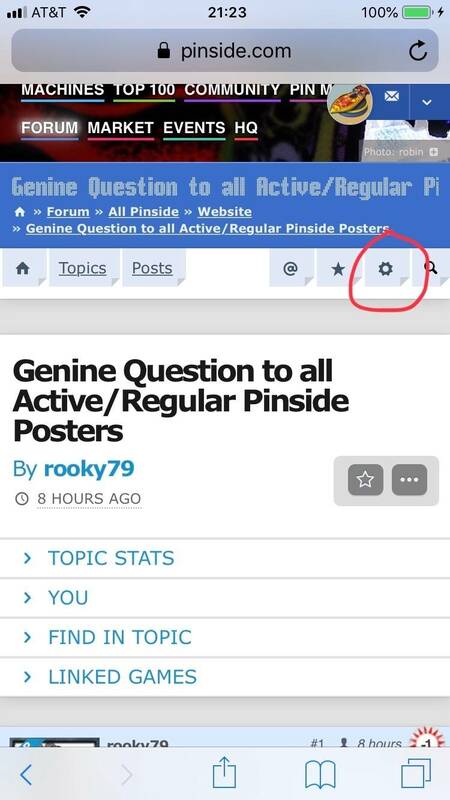 Fortunately, Pinside has a feature to turn downvotes off. I have that set. I don't see them, nor participate in them. Keeps it simple. Ah wicked, where do I find that? It's a Figure of speech!